Resources « Bloomington Restorations, Inc.
For those interested in historic preservation, the Interim Reports are often the most used resource tool available. BRI offers for sale the three interim reports governing Monroe County and the City of Bloomington. All can be purchased from BRI through amazon.com. This is the Indiana Historic Sites and Structures Inventory for the City of Bloomington that was published in 2004. 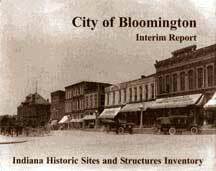 It is an essential reference tool for anyone interested in historic properties in the City of Bloomington. This is the Indiana Historic Sites and Structures Inventory for the City of Bloomington that was published in 1988. Although it was later updated, it remains an essential reference tool for anyone interested in historic properties in the City of Bloomington. This is the Indiana Historic Sites and Structures Inventory for Monroe County. 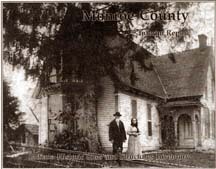 It is an essential reference tool for those interested in historic properties in Monroe County. available for purchase from BRI. Copyright © 2014 Bloomington Restorations, Inc. All rights reserved.